Technological advancements are slowly but inevitably leading to the digitalization of the (Dutch) criminal justice system and to the availability of more and other visuals. Three distinct types of visuals flow from several visualisation techniques. They require expertise, machines and instruments in the production as well as in the interpretation to a varying extent. For most people, seeing is believing. But what we see exactly needs an expert’s interpretation. Even if we think we don’t. The first and oldest type of (forensic) visuals represent reality, as we see it with the naked eye. What we ourselves see , we think is real. In the beginning, these images consisted of prints; drawings, engravings and etchings of suspects, victims, crime scenes, trials and executions. 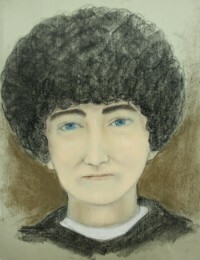 Even now we still have the facial composites and the court drawing. Photography then became available. Soon, the police began to take photos of suspects and criminals: mug shots. However, the fingerprint gradually took over from photos of physical measurements as a way of identifying suspects. Up until now, photography is crucial in documenting and visually representing not only fingerprints, but also the crime scene, the suspect, the victim, the injuries and the damages. This can be a still photograph or film and video recordings, like footage from surveillance cameras. Then x-ray photos found their way to court. This visualization technique makes visible what was hidden to the naked eye: the skeleton. Fractures or the presence of foreign objects such as bullets or wrapped-up drugs can be made visible. These days other (neuromedical) techniques, such as echography, CT and MRI scans have acquired a place in the administration of criminal justice as well. DNA too can only be made visible with for example an autoradiogram, an auto-radiographic image. Together with a calculation of probability this forms the DNA evidence. The DNA material itself is not added to the file, but the image might be. This type of visualization technique requires advanced instruments and a professional to handle these instruments. The professional produces the visuals that we can all see. But what exactly do we see? These visuals need an expert to explain them to us. When we believe the expert, we believe that what we see is reality. 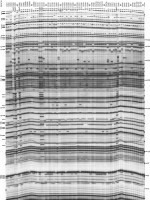 Example of autoradiogram, taken from: Koopman, W. J. M., Kuiper, I., Klein-Geltink, D. J. A., Sabatino, G. J. H., & Smulders, M. J. M. (2012). Botanical DNA evidence in criminal cases: Knotgrass (Polygonum aviculare L.) as a model species. Forensic Science International: Genetics, 6(3), 366-374. The latest techniques require highly specialized expertise and skills, advanced computers and software packages. They visualize what’s possible. The visuals show us what has happened or what might have happened. They also show us what couldn’t have happened. By imaging scenarios, what happened at the crime scene can be reconstructed, animated and simulated. We can see traffic accidents happening; we can see what caused the injuries, we can see the trajectories of bullets; we can see what happened at a crime scene. And what didn’t. We see it for ourselves, and we believe it. We really do not need an expert to tell us about all the key parameters, the levels of uncertainty and the decisions made in the software program that produces the visuals, right? We know what happened, we just saw it. 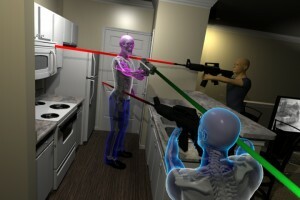 Example of an illustration showing bullet trajectory lines in a scenario of a shooting scene. Taken from the website of the Alliance Forensics Laboratory, one of the many American companies that create forensic visuals which can be used in court. The Applicability of the EU Fundamental Rights Charter: A Matter of Who Has the Last Word?